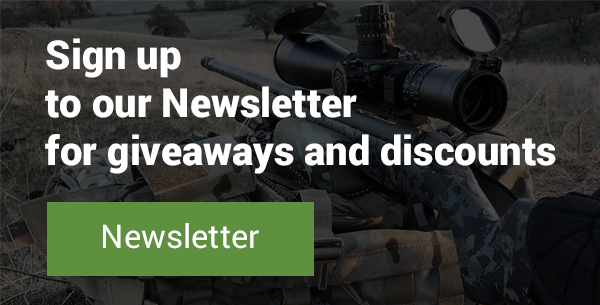 Another very important choice for long range is the focal plane in the scope you buy. Most long range shooters now choose a scope with FFP (front or first focal plane). As discussed in the topic Scope internal anatomy, the focal plane of your scope’s reticle can be located in front of the magnification assembly or behind it. First or Front Focal Plane (FFP) reticles are located behind the objective lens at the front of the scope, and in front of the magnification assembly. Second Focal Plane (SFP) reticle location is ahead of the ocular lens at the rear of the scope and behind the magnification assembly. 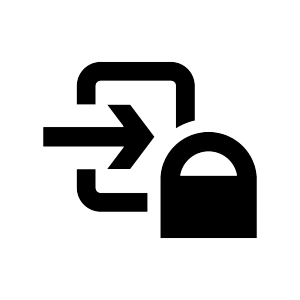 Why choose FFP vs. SFP? Location of the reticle is important because it determines the operational difference between the FFP and SFP. FFP reticle placement for high magnification scopes used in long range means that the reticle's measurements are the same at all magnification levels (the subtension remains constant). A MIL on the reticle at 5x is always a MIL on the reticle at 25x. The reticle size adjusts with the magnification level so the measurements are always accurate, in contrast to an SFP scope, where the measurements change based on the magnification. On SFP, the reticle is only valid at one point across the entire range of magnification, and usually the highest level. At other levels, you will need to calculate a variance based on the magnification setting in your head as you take a shot, a pain if you do a lot of shooting at a lot of different magnification levels. In an SFP scope, the reticle will appear to be the same size across the magnification range. 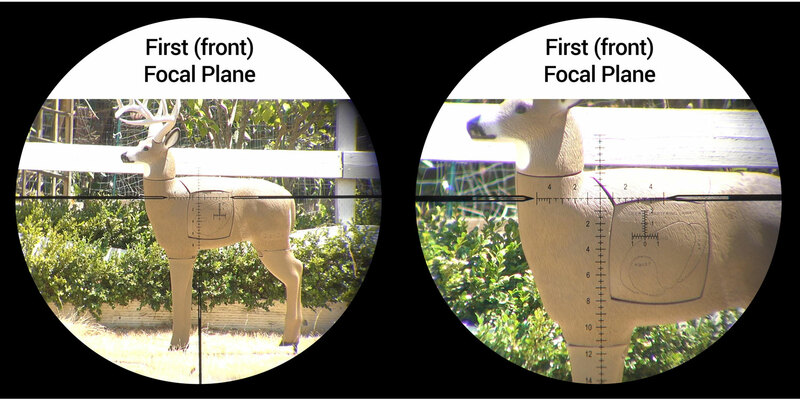 With FFP, ballistic and distance measurement increments on the reticle are appropriate at all magnifications, which works better for long range competitive shooters and hunters. There is nothing wrong with SFP scopes per se, as they typically are both cheaper to produce and purchase, but long range shooters need to understand its limitations. Note: Due to the way the internal mechanics of a variable power scope works, the first focal plane reticle placement is a guarantee there will be no shift in point of impact across a scope’s entire magnification range, whereas a second focal plane scope can result in point of impact shifts between high magnification and low settings. This is not such an issue in a short-range scenario, but the problem compounds with distance. 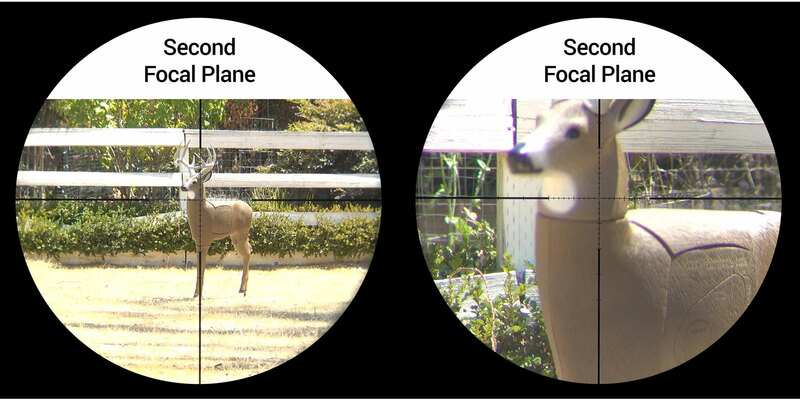 Front Focal Plane is optimal. Scopes without FFP are a pain for long range, versus the quick dialing on turrets with it (with SFP you need to do all the BDC calculations, and only on full power). Get a scope with zero stops for an easy return to zero.